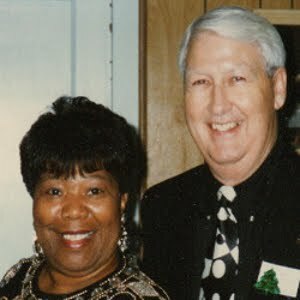 WELCOME TO PRIME LIFE MINISTRIES: Are You Ready For The Rapture? 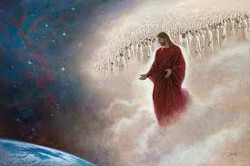 Jesus is coming back soon to gather up all His children in what is known as the “Rapture”. Are you ready for His return? Note: Please keep in mind that the above scriptures only apply to those who have accepted Jesus as their Savior and made Him Lord of their life. It has been prophesied that only 10% of “Born Again” Christians are ready for Jesus' return. Jesus used the following parable to explain what it meant to be ready for His return. Matthew 25:1-13 (NIV) says “At that time the kingdom of heaven will be like ten virgins who took their lamps and went out to meet the bridegroom. Five of them were foolish and five were wise. The foolish ones took their lamps but did not take any oil with them. The wise ones, however, took oil in jars along with their lamps. The bridegroom was a long time in coming, and they all became drowsy and fell asleep. At midnight the cry rang out: ‘Here’s the bridegroom! Come out to meet him!’ Then all the virgins woke up and trimmed their lamps. Later the others also came. ‘Lord, Lord,’ they said, ‘open the door for us!’ But he replied, ‘Truly I tell you, I don’t know you.’ Therefore keep watch, because you do not know the day or the hour.” End Of Parable. This parable is about a wedding. On the wedding day, the bridegroom went to the bride's house for the ceremony. Then, the bride and the groom, along with a great procession, returned to the groom's house where a festival and a great banquet took place, often lasting a full week. These ten virgins were waiting to join the procession and they hoped to take part in the wedding banquet. But, when the groom didn't come at the expected time, five of them were out of oil for their lamps. By the time they had purchased extra oil, it was too late to join the festival and banquet. When Jesus returns to take His children to Heaven, we must be ready. Spiritual preparedness cannot be bought or borrowed at the last minute. The Bible teaches that every person is responsible for his or her own spiritual condition. In the above parable, 50% were ready and 50% were not. Are you a believer who will be included in the Rapture or are you just a church goer or non-believer who will be left behind to face the Great Tribulation? For a detailed explanation of the Tribulation, Click Here. If you have not confessed your sins, asked Jesus to forgive you, repented and accepted Jesus as your Savior and Lord, we encourage you not to wait. Why take a chance, be left behind, and suffer the consequences. To learn how to get ready, please click on and read our “Most Important Question Page". For a detailed explanation of the Rapture, please Click Here. Are You Living As One Forgiven? How To Live Your Faith Each Day (Part 2).